Welcome home! 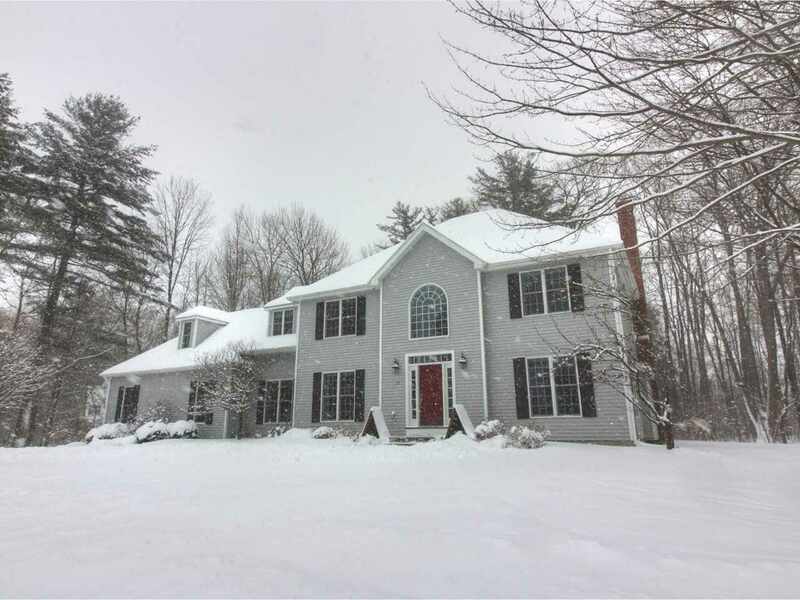 This stately Colonial offers a spacious, open floor plan, 4 bedrooms, 2.5 baths and a 2-car garage. Step inside to be greeted by a grand staircase, formal living and dining rooms as well as study offering beautiful cherry built-ins with desk. At the back of the home you&apos;ll find an oversized kitchen with center island, Corian counters and stainless appliances. The kitchen opens to a sunken family room featuring a gas fireplace with brick surround and more built-ins - a perfect spot to curl up with a book this winter! The open layout offers gleaming hardwood floors and is perfect for entertaining friends and family. Head upstairs to relax in the master suite with private en suite bathroom. You&apos;ll love the master bath featuring a jetted tub, separate shower, double vanity and walk-closet. Your guests will enjoy their privacy at the other end of the second level with 3 bedrooms and a full guest bath. Enjoy tons of storage throughout including attic with room for expansion and the basement with a finished rec room plus huge unfinished area with easy access to the garage. In the warmer months, enjoy barbequing or relaxing on the new, low- maintenance composite deck overlooking private backyard backing up to the woods. Sought after neighborhood just minutes to all Essex amenities including shopping, restaurants, schools and golf. Only 25 Minutes to Burlington and 45 minutes to two major ski resorts.